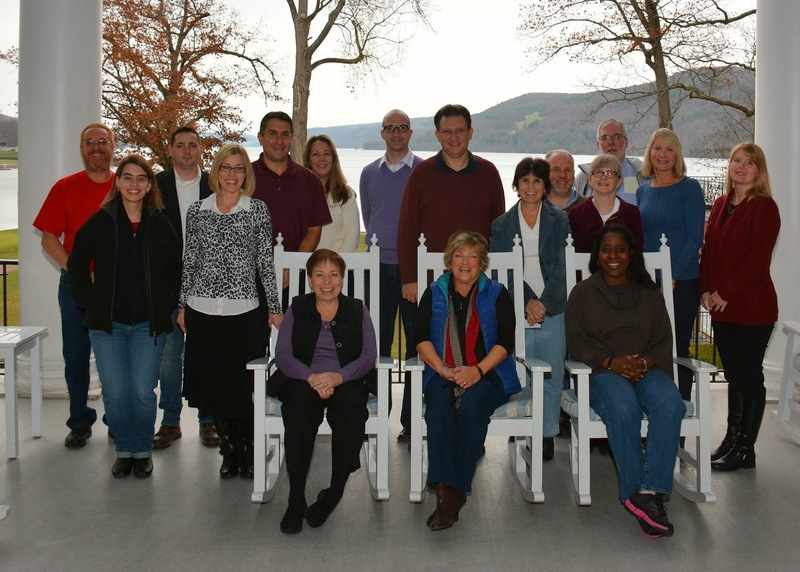 I recently attended the 35th Annual NYSUT Community College Conference in Cooperstown at the Otesaga Hotel. The conference occurs annually in November, at an upstate venue. It is always interesting, informative and entertaining. So why should you attend? First, it is a chance to meet with fellow community college colleagues from around the state and interact about institutional, political and union issues. Second, the conference offers numerous workshops, as well as a diverse and informative group of speakers during the breakfast, lunch and dinner sessions. This year’s sessions included Leadership Development: Understanding Conflict, Basic Negotiations: Principles and Theory, Why MOOC’s Matter, Advanced Negotiations: Challenges to Public Sector Unionism, How to Be Smart When Using Social Media, Basic Negotiations: Techniques and Practice, We’re REALLY Disappointed: Civil Expressions of Power, The Union’s Role in Addressing Sexual Harassment and Hostile Work Environment, Basic Negotiations: Developing Contract Language, Who’s on Deck? Leadership Succession Planning, Advanced Negotiations: Issues for Everyone BUT Full-Time Classroom Faculty and What Do You Stand For? : Branding and Local Identity. Among the presenters this year were our President Kevin Peterman, our Vice President, Sean Tvelia and our Adjunct Coordinator, Cynthia Eaton. It is assumed that our Faculty Association is similar to others in the state. Attending the conference highlights just how wrong that statement is. Kevin Peterman discussed many issues including collective bargaining, having a working relationship with administration political action, engaging union members, promoting common goals among members and planning for the future. Many from other colleges were amazed at our association model and requested that Kevin present at their college associations. It seems that many unions from other colleges have trouble gaining any attendance or interest for union activity. The conference runs from Friday evening to Sunday morning. During the day on Saturday there is an extended break allowing participants to travel to town and the surrounding area to explore everything from the Baseball Hall of Fame to local farms, wineries, and small town stores and shops. The previous year’s conference venue was at Saratoga and the conference usually changes venues each year. I have gained valuable new information at every community college conference I have attended, as well as a greater appreciation for our union, its officers and members. We always have one the largest attending groups at the conference and I encourage you to attend and hope to see you next year at the 2014 NYUT Community College Conference. I apologize for my silence over the past two weeks! I've been, to use the parlance of the service industry, "in the weeds." Usually I do a fairly good job of compartmentalizing my family life and my professional life, but this semester my family life threw a proverbial wrench into my professional life, and in the form of a darling, sweet, adorable little germ trap . 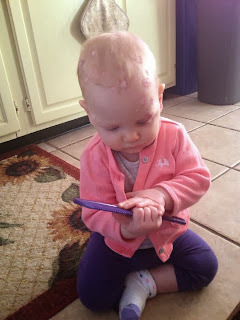 . . my nine-month old daughter. 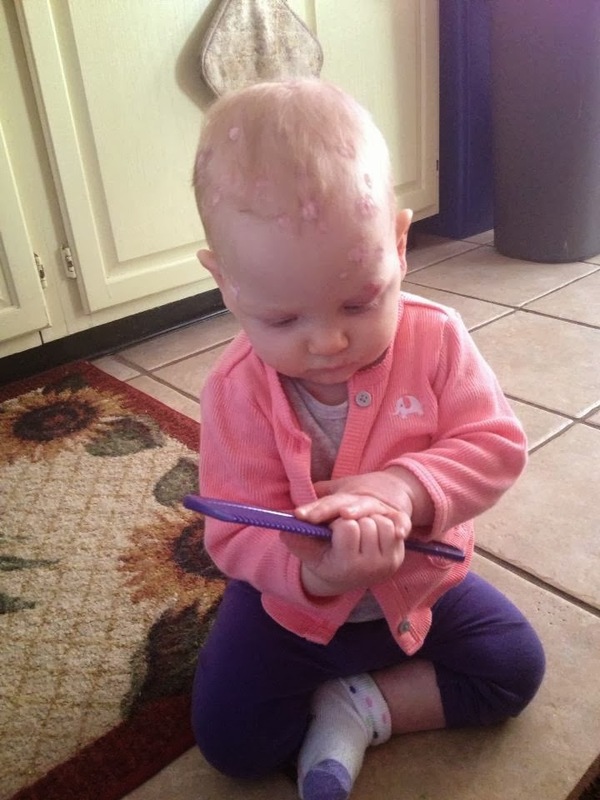 The first hiccup in the semester came in late October, when the Little Miss Germ Trap caught the chicken pox. That was fun! I had to take an entire week off from classes to stay home with an itchy cranky poxy infant! That one week off precipitated a backlog of essay and quiz grading and a slew of committee responsibilities that I've yet to resolve completely. And then the second hiccup came just last week, when Little Miss Germ Trap caught Roseola or The Plague or some kind of Alien Superflu, and I had to cancel yet another class, and as a result, rethink my end-of-semester final assignments. This experience was not without its useful learning curve, however. (Don't take on overload assignments the semester after you give birth, Dummy! Don't teach brand new texts in that same semester! Resist joining new committees!) Also, it affirmed something I've known since I became a faculty member here: we have a marvelous support system at SCCC, and particularly in the FA. My lovely department chair , Michael Boecherer -- who is now of course a Guild member but has a history of active participation in the FA prior to his administrative position -- offered lots of good advice on addressing student needs. He even met with one of my classes briefly to address concerns and cover course material in my absence so that my students wouldn't lose valuable time at the end of the semester. My office mate, the inimitable Ms. Cynthia Eaton (and the FA's Adjunct Representative) generously offered her babysitting services even though she's twice as busy as I am and has two adorable little boys of her own to look after. Not to be too dramatic (har har), but I feel a profound thankfulness for having such helpful and understanding colleagues. I experienced similar camaraderie and solidarity when I was a faculty member of the Ammerman Campus, too, so I know such friendliness is not just restricted to Eastern. And not too long ago, I witnessed our FA officers and FA members come together to protect our newest members, and that experience -- much like my experience this semester -- left quite an impression on me. This country was in the deepest, most tumultuous parts of its recession, and Suffolk County Community College’s budget was threatened by cuts at the state and county level. The FA was asked to open negotiations for renewal of our contract, and the FA agreed. High on the FA’s priority list was protecting the jobs of at least 70 full-time faculty members, who, like yourselves, did not yet have continuing appointment (otherwise known as tenure). Then-President Ellen Schuler Mauk wrote a clear and thorough rationale for the negotiations in a special edition of The Word (you can find it here: http://www.fascc.org/word.asp, under the 2009-2010 archives -- titled “Contract Edition”). 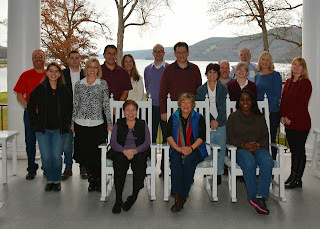 In a special vote ratified on June 9, 2010, 88% of the FA membership approved the 2010-2015 Faculty Association Contract. The FA’s forward thinking and willingness to open negotiations early managed to avoid possible roadblocks and threats to membership in the 2011-2012 year, when the contract was originally due to be renegotiated. And when the contract is up for negotiation again in 2015, I’m confident you’ll see the same levels of cooperation between the individuals in our membership, the administration, and our union officers. So you may have noticed that much of the FA's literature is often printed with the closing "in solidarity." I just wanted to remind you, with these anecdotes, that here at Suffolk it's not just a catchphrase, or an automatic, knee-jerk reaction. It's something practiced, not preached, and it's what makes working here a pleasure. I know this time of year can be incredibly stressful and busy -- but your colleagues are here for you, and if you need help, you should ask for it.